A relatively new face on the scene, this week’s Player of the Week has quickly won the hearts of the community, and Team Munzee. 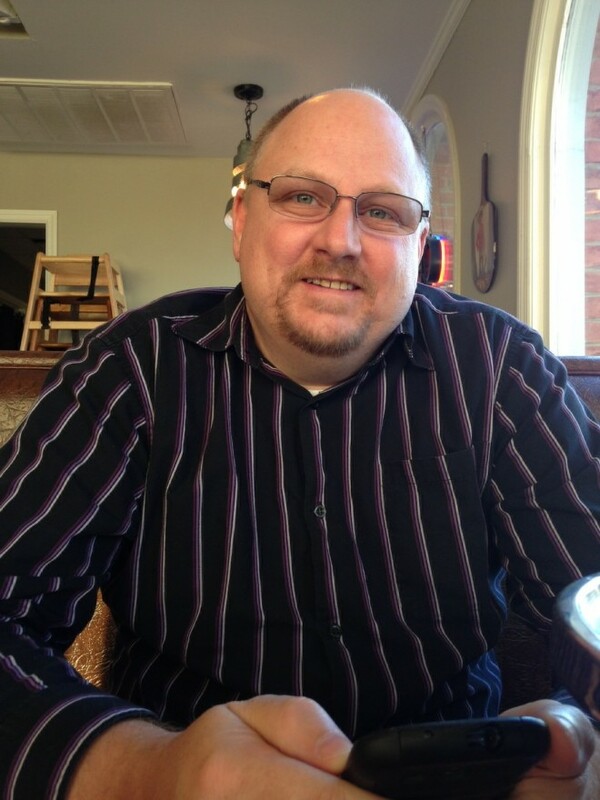 Passionate about geo-location games, and supportive of his local Munzee community! You can find his smiling, upbeat personality shining on Facebook and around the web, and you can also contribute to his very exciting garden near Munzee Headquarters! This week’s Player of the week is Brad Bond, aka, NativeTexan. Read below to learn more about our newest enthusiastic Player of the Week! My name is Brad Bond. Actually Brad is my middle name. My first name is James. And yes, I hear all the jokes about being James Bond! 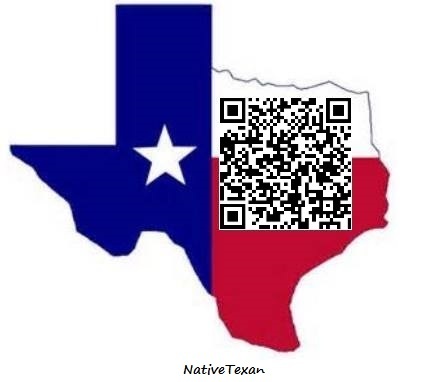 In the Munzee world, I’m NativeTexan. I live in Denison, TX. It is about 45 minutes due North of Munzee Headquarters and is on the Texas/Oklahoma border. Some people might recognize the town because it is the same town Trish lives. I have only been playing since the end of January, 2014. But it only took me a day or two to become totally hooked! Two days after I signed up for an account, I went premium. I heard about it on Facebook from a caching page. 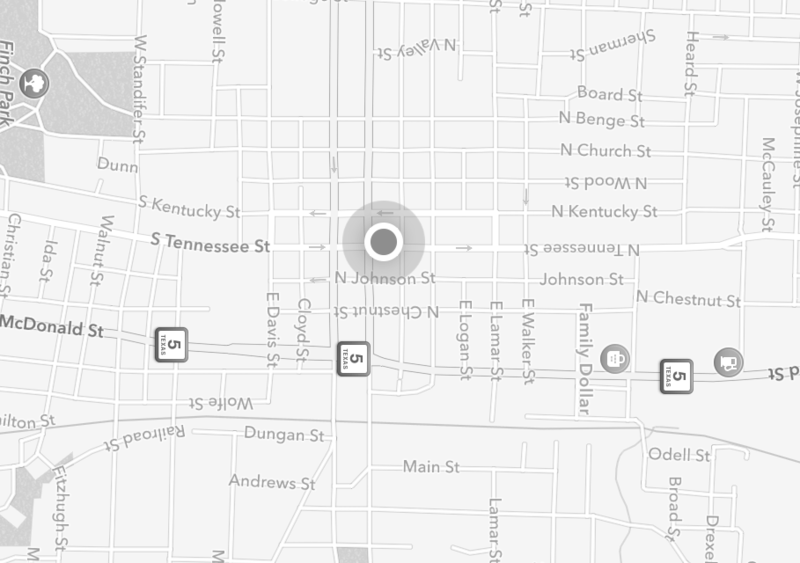 Someone posted a question about Munzee and my immediate comment was, “What is Munzee?” I googled the term and found Munzee.com and after looking through the website and then seeing the map, I was amazed at the number of Munzees in this small town. I downloaded the app to my phone and went to find my first Munzee. I also joined some Munzee Facebook pages and started asking questions. I decided to join a clan two days later but I joined a laid back one since I wasn’t sure what all the clan stuff was about. Then on the second month I decided to join a clan that wanted to go for the Chuck and we made it! If I wasn’t totally hooked before then, that did it for me. I really enjoy getting outside but I have to admit, I am hooked on the points, badges and clan weapons! One thing I am really excited about is going to my first Munzee Bash. I remember reading all the fun stuff about MMIII and seeing the pictures of everyone who attended. I’m looking forward to going to something like that. Another thing that I really love about this game is the interaction between players and the MHQ staff. Everyone is so friendly and helpful and I was amazed how much the MHQ team interacts with the players on social media. I remember the day that my daughter and I decided to make the short trip to MHQ to meet the team. I wasn’t sure if it was appropriate just to walk in but we were greeted with open arms. That was a fun day for us. It is hard for me to say that I have a wish list since I am pretty new to this great game. But, I think for me I want to make sure I get more “special” icons in my list of icons. Of course, I really want the get the 10K and Centurion Badges. That is my goal for now. I was born and raised in Texas. I have lived there all my life except for 5 years I spent in Summerville, SC. I really loved living there but was very glad to get back to Texas. I have four children, all of whom are adults and one granddaughter who is almost 5 and lives about 20 minutes from me. I have two boys who live in Texas and one son who lives in New York. My fourth is my only daughter. She is the oldest of all four. She and I live together and have for a few years. About 2 years ago she decided to try and adopt so we became a foster home. We have had 3 placements in our home for a total of 4 kids. The little girl we have now is 6 years old and she it totally hooked on Munzee! Every time we go into a store she starts turning bottles and packages around looking for QR codes. When she sees one she yells out, “here is a Munzee, scan it”. Not realizing that every QR code is not necessarily a Munzee, I humor her. I open the app and scan the code. She is disappointed when the buzzer sounds and it is not a Munzee. When we are out actually Munzeeing, her favorite thing is asking, “how many points did you get?”, after she hears the ding! But fostering can be a great thing. We know we are helping out some kids that need help at that time in their lives. They are so young and their world has been turned upside down. It is rewarding but as you can imagine it is hard as well. Sometimes you really get attached to these kids and then they end up going back home. It can rip your heart out at times. Like a lot of Munzeers I also enjoy caching. But when the weather is nice I really enjoy fishing! I live just a couple of miles from Lake Texoma, which is one of the best Striper fishing lakes in the country. I absolutely love getting on top of a school of stripers that are feeding on the surface. Every cast lands a nice fish! But now that I have discovered Munzeeing I have a feeling the fishing will have to wait each month until I meet the clan requirements! NativeTexan was awesome enough to share his Social with us. Cap it today! If you know a player that should be nominated for Munzee Player of the Week, shoot us a message at iLoveYou@Munzee.com and let us know just why this person is outstanding in the global Munzee community! -Please note, this is a super active campaign. We may not be able to get back to everyone, but you’re helping to grow the list of amazing people in the Munzee community! May has been a fierce battle with a lot of action to this point in the month with 4 days remaining in the month. Three clans have already earned the #SuperChuck level which has remained a secret, only revealed when your clan earned Level 4. And now, let’s move forward to June! In June Munzee clan wars are getting lean, mean, and green! What does this mean? In mathematics the term mean refers to the average. The mean is the sum of all numbers divided by the amount of numbers. Clan scores and ranking will be based on the Clan average. Each players score will be added to give a total clan score, then divided by 10. Levels will be reached based on the mean score of your clan and other achievements. Group Stage: Your clan mean score must reach 500. All 10 clan members must have a 2 day capture streak during the clan battle. No special requirements for number of captures. Reward: Munzee code via email for capture. Round of 16: Your clan mean score must reach 1500. All 10 clan members must have a 5 day capture streak during the clan battle. All 10 clan members must have at least 25 captures (any type of Munzee). Reward: 1 mace, 1 longsword, 1 diamond, 2 RMH Virtual. Quarter Finals: Your clan mean score must reach 5000. All 10 clan members must have a 10 day capture streak during the clan battle. All 10 clan members must have at least 100 captures (any type of Munzee). Reward: 1 mace, 1 longsword, 2 mystery virtual, 2 RMH Virtual. Semi Finals: Your clan mean score must reach 10000. All 10 clan members must have a 21 day capture streak during the clan battle. All 10 clan members must have at least 300 captures (any type of Munzee). Reward: 3 mystery virtual, 3 virtual, 5 virtual colors, 2 diamonds. Championship: Your clan mean score must reach a very high number. All 10 clan members must have a 25 day capture streak during the clan battle. All 10 clan members must have a high number of captures (any type of Munzee). The secret level of points and captures will only be revealed after reaching the Semi Finals. This will be a difficult task with rewards worthy of your effort. It is recommended that everyone in your clan play all the way until the whistle to try and make the Championship! Co-creator of the Franklin Gardens in the US, a force to be reckoned with in the forums, and just a generally awesome guy with a true sense of Southern Hospitality when you visit the lovely “Munzee lands” of Tennessee! This week’s player of the week is one of the most well-known American players, and has been in the spotlight big time this year with the Franklin Munzee Bash! Let’s all welcome Jay Piper (ThePiedPiper) to the Player of the Week club! How long have you played Munzee? Just hit 1,000 days on April 27, 2014. I signed up on August 1st 2011! Southpaw introduced me to Munzee on our way home from the Midwest Geobash in Wauseon Ohio. I signed up, created 10 Munzees, deployed 4 (all still active and in original laminated business card laminate) and then didn’t do much with it. One year later at MWGB 2012, I tracked down all of the deploys in the area and capped all of them. That’s when I was truly hooked, I started capping and deploying on a daily basis after that. The game had evolved so much within that time period making it much easier to play. I can’t say I have one thing I enjoy most, as there are so many. One of the best things is enjoying time with the friends, Tammy (TheRealGigi) and I now call our extended family. We try to hang out at least once a week to deploy and cap together in order to expand the Franklin, TN Garden. I will admit I am extremely competitive so I enjoy following their progress in scoring. The Clan Wars have also made each month more exciting, challenging and keeps the game interesting for me. Fortunately, I belong to a clan (Phoenix Rising) willing to work hard together as a team and we have achieved Chuck every single time with very little change in personnel. (We hope to continue that streak, although we know it could get much harder if we brag too much!). Thanks to Munzee I now have worldwide friends, which, if we were ever to meet in person we will be able to get along instantly due to the common bond of Munzee. I also must say I like how the “Vardy Man” keeps adding new and exciting things to the game and how much he has transformed it over the last year. Thanks Rob! Besides Mysteries being a minimum of 10pts (Thanks Scott)? I would like for the Franklin Munzee Bash to become one of the must go to events of the year and possibly a mega event. We are already making plans for April 18th, 2015! I am originally from Indiana and have lived in Tennessee since 1993 by way of Karlsruhe, West Germany (1987-1990). Professionally I am a computer consultant (Network Engineer, SQL DBA) that works with manufacturing firms all over the world. I work from home and have to travel about 25% of the time, which gives me plenty of opportunity to cap and deploy when in other areas. I am a Dad to three teenagers (a son 18, a daughter 15 and a step daughter 16) which makes life interesting every day. Was a Scout leader for many years until my son became an Eagle Scout in 2011. Am a Past Master and current secretary of Columbia Lodge #31 F & AM, Past High Priest Lafayette chapter #4 Royal Arch Masons, Past Illustrious Master Columbia Council #139 Cryptic Masons, Past Commander Columbia Commandery #35 Knights Templar and a member of the Knight York Cross of Honour (K.Y.C.H). Currently serving the Grand Lodge of TN as Director of the Hospital Hospitality House program. Current Webmaster for Grand Lodge of TN F &AM, Grand York Rite Bodies of TN and TN Knights of Pythias. I am also a member of the B.P.O.E. 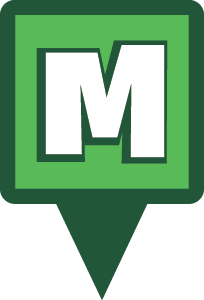 (Elks), a veteran of the U.S. Army and a founding member of the Middle TN Munzee club and recently became a volunteer to admin the Forums for MHQ. Other Geolocation games, computers, web development, FreeMasonry, Nashville Predators/ Pittsburgh Penguins Hockey, STL Cardinals Baseball. Jay was awesome enough to share his social with us. Let’s show him some love and cap our appreciation for this week’s POTW! Munzee for good this May! With inspiration from previous Players of the Week (Derik Reed and Family) we’ve launched a special campaign that we hope inspires the entire Munzee community to open their hearts and join their hands together in fighting for an important cause! RMH Virtual Munzee is a special limited time Munzee purchase. On sale from May 21 until May 31 (MHQ time) only. RMH Virtuals are temporary gamepieces with all proceeds to benefit the Ronald McDonald House of Spokane Washinton. The donation to RMH of Spokane is to honor the special relationship between the Reed family, RMH, and local Munzee players. Read more about the Reed family and their special Player of the Week award on our blog. RMH Virtual munzees will remain on the map from the date of deployment until June 30, 2014 at 18:00 MHQ time (CDT). The RMH Virtual points will be similar to a diamond Munzee. Players will earn 10 points for deploying the munzee. The owner and capper will split 20 points when captured, with a minimum of 5 points for either player. Example: Player A captures and receives 7 points, the owner receives 13 points. Player B captures and receives 8 points, the owner receives 12 points. The maximum for owner or capper is 15 points. The minimum is 5 points. Four badges may be earned through your purchase and support of the RMH virtual munzee. Badges received for owning 4 RMH munzees, 8 RMH, 20 RMH, and 40 RMH munzees owned. As if all of this isn’t enough…How about ONE MORE THING! FREEBIES: Buy 2 packs (8 RMH total = $10) get one free regular virtual munzee. Buy 5 packs (20 RMH total = $25) get one free mystery virtual munzee. Must be purchased in same order to qualify for freebies. The Blast Capture will work in order to capture the RMH virtual. No colors may be applied to the RMH Virtual. Munzee Players of the Week, Derik Reed and Family! Globally, Munzee is a network of players bound together by one simple thing, a love of the game, and passion to build our community with other like-minded people. Munzee provides us with an outlet to get outdoors, do something special with the family, see new sights, and make new friends. We’re all different, and we each have our own amazing personal story that makes us stronger, and makes this the most amazing group of players (and people) to be a part of. This week’s Players of the Week are no exception to this. The Reed Family (Derik, Kathryn, David and Julia), are near and dear to our hearts. Their love of the game and love of their son David resonate throughout the Munzee community. Today, we want to make them “shine” worldwide with all of you! Read below and get to know this week’s courageous Players of the Week! 1. Who are you? Let us know your “names” and introduce your Munzee family! We are derikkathryn, Derik Reed, lilgeodave, and lilgeolia. My kids have their own accounts, at their request when we started playing together. 3. How long have you played Munzee? (Derik) I began playing in January of 2013, 15 months ago. 4. How did you find Munzee? Did someone in your family “take” to Munzee first, or was it a passion shared amongst you all? I discovered Munzee while overhearing it being discussed at an event of the other Geolocation-Game-That-Must-Not-Be-Named. I think they were actually making fun of it; I downloaded the app, and discovered that there were no more than a dozen in the area I was covering (including my home and Spokane, WA). It took me over a month to get to 100 points, as I had not discovered “armchair munzees” yet. My son David had been diagnosed with ALL, T-Cell Leukemia in October of 2012, and was living with my wife at the Ronald McDonald House in Spokane; munzee provided me with a needed distraction and activity (mostly deploying) while driving back and forth between here and there. My kids both have active accounts, and have played in clan battles with me, but mostly like to go on walks, and sometimes are ready to be done way before me! 5. What do you enjoy most about Munzee? I enjoy the opportunity to get outside and exercise, the chance to meet new people with similar interests, including planning local events, coordinating strategic Munzee attacks so that our local clans can compete with the “Big Boys in Europe” and on the Coasts during clan battles. 6. How has Munzee impacted your relationship with your family, especially your children? My family frequently munzees together, but I have way more drive than the kids. Our connections with others, especially while in Spokane, have been greatly augmented by Munzee and the other “Geolocation-Game-That-Must-Not-Be-Named”; also, my connections in that other game have triggered an interest in Munzee in Spokane, where the map has grown from just a few to over 5000 deploys in the last year. Also, another Munzer visiting Spokane capped some Munzees we deployed while walking to Riverfront Park from the Ronald McDonald House on Easter of 2013; she was so moved by our deploys that she made contact with my wife (at R.M.H. ), and provided a significant amount of financial, emotional, and spiritual support while we were in Spokane! The people I play with have become close, personal friends, and their prayers and encouragement have been essential to our navigation of the last year. More locally, at a recent event in Helena, another player’s son, who is a survivor of childhood leukemia, was able to meet with my son. We are forging lifelong connections through this game! 7. What is on your wish list? Most of my wishes have come to pass in the last year–i-nigma on the iPhone, locally planned events, better functionality for conversion and other functions within the app; but the greatest desire I have right now would be for some (or all!) of MHQ to come to one or more events in Montana and Spokane this summer! It would be an acknowledgement that we in the hinterlands are having an impact on the game! David was diagnosed with cancer on October 8, 2012, two days before his seventh birthday. He was in critical condition, and within hours of his diagnosis, he was life-flighted to Sacred Heart Children’s Hospital in Spokane, Washington. During the first eight months (the most intense phases) of his three and a quarter years of treatment, he and his mother were required to live in Spokane. The Ronald McDonald House of Spokane became their home away from home. Without the Ronald McDonald House and all of the support it offered our family, those eight months away from home, friends, and family would have been even more difficult. The House provided us a safe place to live, play, and interact with other families with children with significant health issues. We moved home Memorial Day weekend of 2012, but we visit the Ronald McDonald House every time we’re in Spokane to drop off donated pop tabs and to visit; we will always be grateful to the staff and supporters of the House. David’s treatment consists of five phases, four of which were completed while we lived in Spokane. The first four phases involved IV chemotherapy, intrathecal chemotherapy, oral chemotherapy and steroids, as well as full cranial radiation. The last phase of treatment requires daily oral chemotherapy, a trip to Spokane every four weeks for IV chemotherapy, and a trip to Spokane every twelve weeks for a lumbar puncture and spinal chemotherapy; this cycle is repeated until the end of treatment. David will complete his final chemotherapy and ring the bell as a childhood cancer survivor on January 18, 2016. A note from our President: The Reed family and their story have inspired Team Munzee. Coming very soon we will celebrate and honor their Munzee connection with the Ronald McDonald House of Spokane. Prepare for special charity gamepieces, icons, and badges. More information coming very soon! Thanks so much for taking a moment to read this important Player of the Week Interview, and capturing this Social. Keep your eyes on the blog, and on our Social Outlets for the big announcement from Team Munzee. You can help make a difference in this world! “Expect the Unexpected” this 2014! Quiet, persistent, and amazing… Words to describe the world’s “#2” Munzee player, and the second player to ever hit 1 million points! Top spot on the leader boards isn’t anything to shake a stick at, and neither is this week’s POTW! We’re happy to honor one of the biggest international players, Reimar Kuepper, as Player of the Week! As we wish ReMiKu a Happy-Happy Birthday this week, let’s all get to know this unstoppable Munzee hunter through the interview below! My Name is Reimar Kuepper but most people know my by my nickname ReMiKu. Today, as I write this, for 947 Days. It was the 4th of October in 2011. Feels like a few weeks ago. Hmmmh…the first thing that comes into my mind is the “social part”. Interacting and communicating with other people through this platform/game is a great booster for me. The Clans, and the Clan Wars of course, completed this for me. We found a game where we can go together, have fun, create fields and have a little “after work” drink. The Clan where I belong to (Check out Clan Cologne here: http://www.munzee.com/clans/cologne/ ) is a collection of a weird bunch of people that enjoy the game as much as I do. Nevertheless lots of other players (and now friends of mine) in different cities, states or countries complete my “Munzee world”. And yes…..the game itself is also pretty catchy. Because I deploy quite a lot of Munzees, I would love a organizing tool or a section on the Munzee website where I can have a better overview of my deploys (Editor’s note: Very Interesting Suggestion…Hmmmm…). Due to the amount of munzees I sometimes have to repair them and I would love to have a little online help to mark them and create some kind of “repair tours”. Also Statistics works great for finding out which Munzee has been frequented by who and how often etc… I surely want more badges…I really like the badge idea to earn something special. Can’t wait for territory badges like countries, states or cities. Well….I’m 42 years “old” and addicted to this game. I really like to set goals for me and try to achieve them…in a easy and funny way. I’m surely passionate when it comes to achieving my Munzee goals, but fun ALWAYS comes first. I really like enjoying what I’m doing. If you’re in Cologne and need a little guidance…drop me a line on FB or thru the Munzee Messaging system! I’m glad to show you around or give you some additional info regarding my area. I would really like to thank the creators of Munzee for giving us such a fun game. In good times or bad, they push forward with their ideas and goals for Munzee, giving players the opportunity to play, and every day is a good Munzee day. Special Thanks of course to all the players in my Clan, my Area and my Munzee friends! Without you this game hasn’t been so successful to me as it is right now! Even though today is all about you, ReMiKu, thank you so much for the kind words! Now let’s have everyone wish you a wonderful week by getting the Munzee community to capture your Social below! Announcement: Munzee donates USD $5,000 to Doug Flutie, Jr. Foundation for Autism! The amazing efforts of our active Munzee community lead to over 8,055 hearts captured in the month of April! Player captures raised a total of USD $4,027.50 in donations towards an Autism charity. Team Munzee has decided one organization deserves the incredible efforts of our players. Autism is a neurological disorder that impacts the normal development of the brain (oftentimes in areas of social interaction and communication skills). Autism occurs in as many as one in 150 births, and awareness towards this struggle is something passionately felt by Team Munzee. The Doug Flutie, Jr. Foundation for Autism was established in 1998 by NFL quarterback Doug Flutie and his wife, Laurie, in honor of their son Doug, Jr. who was diagnosed with autism at age three. Like Team Munzee, Doug Flutie, Jr. Foundation is a small group of passionate people working hard every day to turn their vision into a reality. Yesterday, TJ (VP of Sales/Marketing) reached out to the devoted five-person team and offered our total donation of USD $5,000.00 to their organization! We’re glad we could make a difference by donating to a dedicated organization that will utilize over 90% of our donation towards Autism Awareness (and helping families of children with autism ). Their primary objective is to provide families with a place to turn when they are in need of support and autism resources. Team Munzee wants to give a big “THANKS” to our player community, YOU are what makes Munzee great. You inspire us to make a difference every day, and today we were able to do just that! This week’s player of the week is a quiet sort of player. The player that spends his time enjoying the best of Munzee: getting outdoors, spending time with the family, and riding magical invisible pink unicorns. A friendly face on Social Media, and always eager to meet with any player headed towards his neck of the woods, this week’s Player of the Week is JS Seegars (Sseegars)! What do you enjoy most about Munzee? I’m not a die-hard player, but my wife is, and I’m so supportive of her and Munzee! She liked caching but wasn’t as into it as I was. This has given us both something to do together! We discuss Munzee several times a day. Add to that the social interaction online with the various pages and groups and I am happy to be a part of the Munzee family. I am a stay at home Dad and being online is sometimes my only adult interaction during the day. Another aspect that I really enjoy and I want to be clear about upfront is Rob’s involvement in the game. He’s always around. He’s not just the president, he’s also a player. I am not badmouthing caching but I really never saw that “in other games” and I’ve actually met the folks in charge for those games/hobbies! Rob is more involved and approachable and that means something to me! I enjoy Munzee because I can place most anywhere. I don’t have a reviewer looking over my shoulder. That’s something that finally drove me away from caching. I often go out for a wander on weekends (Saturdays are my day off) with my camera and find some interesting thing or place that I can bring another player to. It’s not the points for me. It’s the discovery of new things, or old things. I do love old houses. What is on your wish list? Franklin, TN in the foreseeable future! I would love to go back to Europe especially now with Munzee. I want to see historical icons. I have part of that with quiz munzees and have started placing those with that in mind. I would love to see a set of Munzees that give an increasing point range as you go along a historical trail of Munzees to a payoff of points at the end. I think that would be useful in getting both the curious and the ones out for points onto a trail like that. I always like to learn new things about an area when I’m out wandering. That’s how I used to cache. My handle is something that my parents came up with, lol. First initial and last name. I am awful about picking a handle and changing it. So here I just went with a handle I’ve had for years. I am forty-five, married, with two kids. Mags is maseegars, our children play with us, and we all use the same handles for our Munzee player names. I had to keep it simple and going the same way I did with their handles seemed to be the best way. I usually Munzee with the wife. I have been known to Munzee with WallynSC when I can get his decrepit old body out of the house! I love photography and history, science fiction and fantasy, and I watch WAY too much TV. I am also a heavy reader. I have a huge interest in mythology and books on the occult, ghost stories and just the general weird stuff that’s out there. There is a lot of strangeness in the world. I want to see it all. One of the thing I really enjoy in the Facebook groups is Unicornification Nation, It’s nice to be a part of that. I enjoy the back and forth when it really gets rolling.